Shower, toilet and commode chairs are essential items for ensuring an improved quality of life for users, allowing safe and dignified use of bathing and toileting facilities. 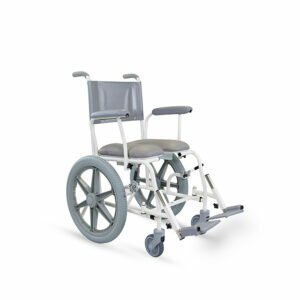 We have an extensive range of assisted and self-propelled chairs with a number of different design options, and we are able to provide bespoke solutions thanks to the Freeway range’s modular design, allowing for interchangeable seats, backrests, armrests and footrests. 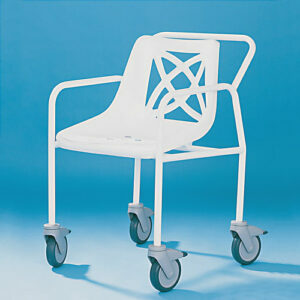 Our entire range of Freeway and Mackworth branded shower chairs and commode chairs are manufactured in the UK. 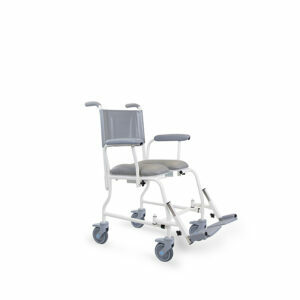 With a number of different solutions available, including reclining chairs, shower chairs with wheels specifically made for paediatric or bariatric users, and interchangeable parts for a bespoke design, you will be able to find a solution that is safe, comfortable, practical, and meets your need or the needs of your client. 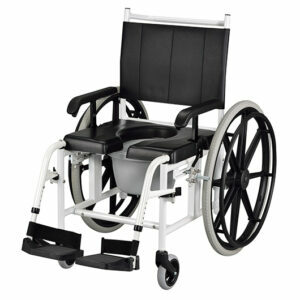 The majority of our chairs can be used as both commode chairs and shower chairs, but there are also simpler options available for those who feel they only need a shower chair available. Whatever option you choose, you can be sure of a high quality, excellently designed, long-lasting and practical chair. Our range of Freeway shower chairs are manufactured in three different width fittings – 440mm (17″), 490mm (19″) and 540mm (21″). Durable steel frames are finished with our own anti-bacterial coating, Freecote, and will provide years of reliable, rust-free performance. All of our Freeway shower chairs fit over a standard toilet or commode, unless indicated otherwise. The comfortable padded seats are available in fully padded, horseshoe-shaped, or full ring configurations, with a choice of different sized apertures. 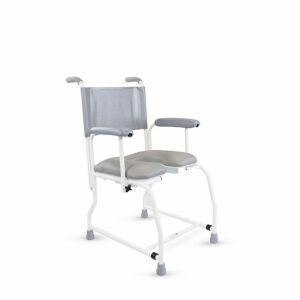 The seat and backrest are covered in hard-wearing, flame-retardant material, which is hygienic and easily wiped clean. There is a choice of horizontal push handles, or straight vertical-handled backrests for use in restricted areas, or over WCs. 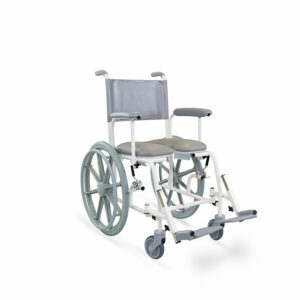 Large diameter plastic and stainless steel castors are used for maximum water resistance, ensuring that the chair travels easily over uneven surfaces and the ramped edges of shower cubicles. The armrests are topped with a hygienic and comfortable high density foam, and are available in a choice of three widths. 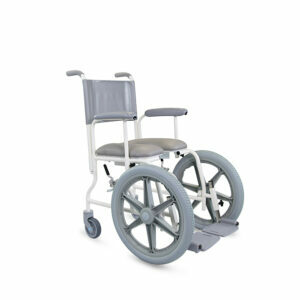 Removable swing-away footrests are standard where appropriate. 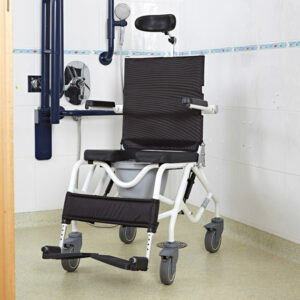 For a more economical alternative, ideal for those working with budgetary restraints, the Mackworth shower chair range provides a cost-effective showering and commode solutions to meet a variety of needs and safe working loads. All ranges carry a 12-month warranty. Please don’t hesitate to contact us if you have any specialist needs – we’ll be more than happy to accommodate you.